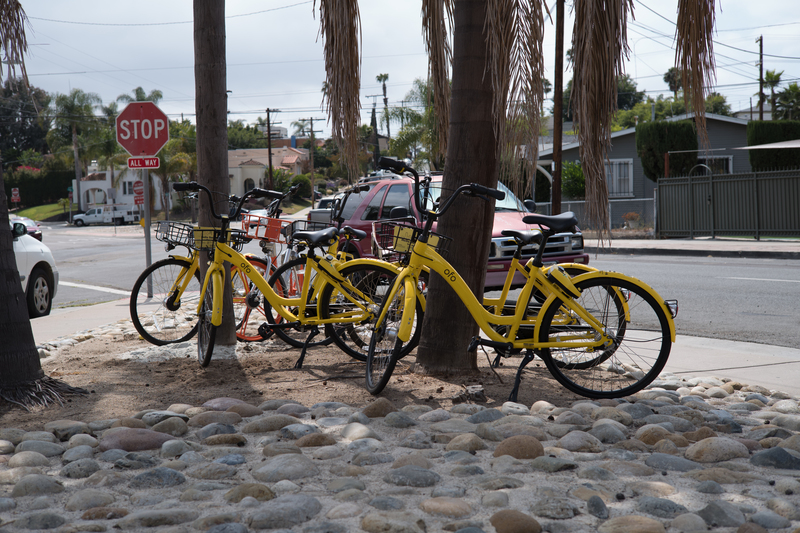 Three days ago, my wife and I spotted a meeting of Ofo bikes, at the medium triangle where Alabama, Mission, and Monroe intersect in San Diego’s University Heights neighborhood. 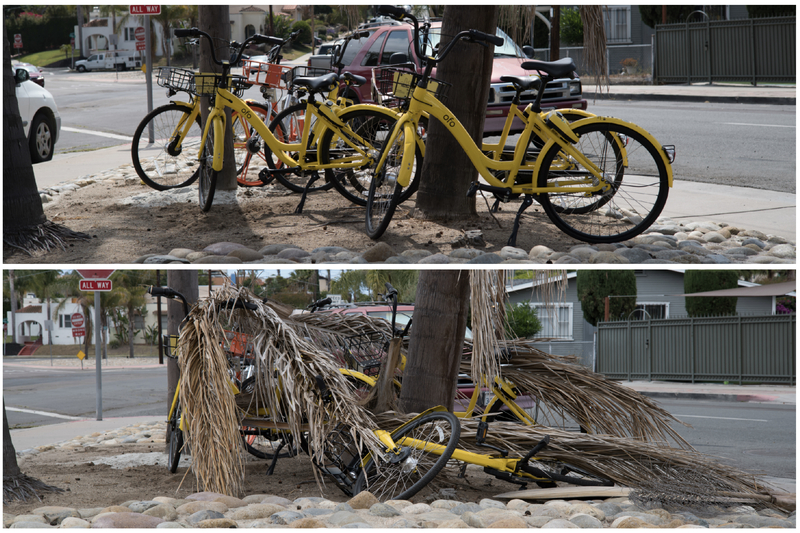 Today, walking past, we saw them again but covered. 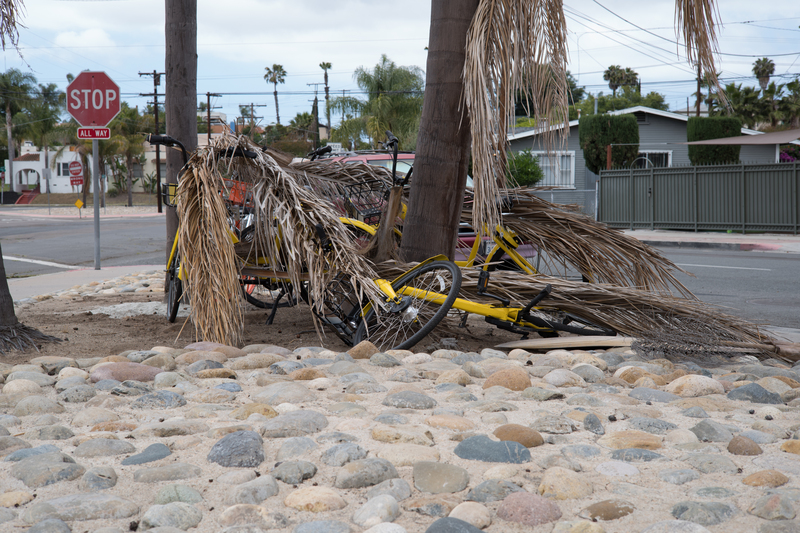 Did the fronds fall from the palms, or did one of the residents—disgusted by the recent ride-sharing invasion—deliberately cover up the yellow two-wheelers? I’ll never know. I shot both images in the collage using Leica M10 and Summarit-M 1:2.4/50 lens. Vitals for the top one: f/5.6 or f/8, ISO 100, 1/500 sec; May 19, 2018, 2:52 p.m. PDT. The bottom: f/11, ISO 100, 1/125 sec, 50mm; today, 12:20 p.m. For the originals, click “Ofos Gathered” and “Ofos Covered“.